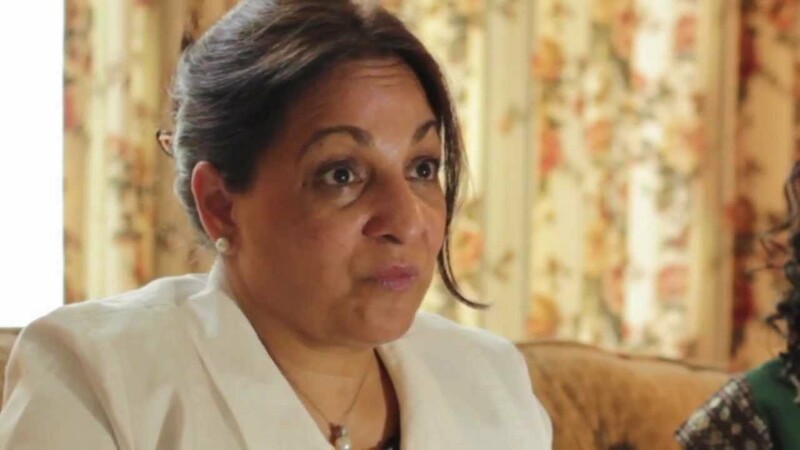 Daisy Khan is one of the most prominent female Muslim leaders in the United States. As the Executive Director of the Women's Islamic Initiative, Khan not only empowers Muslim women around the globe, but also tirelessly works to help non-Muslims better understand the true teachings of Islam and to build bridges of acceptance between faiths. She is a seasoned lecturer with a timely and inspirational message of peace and tolerance. 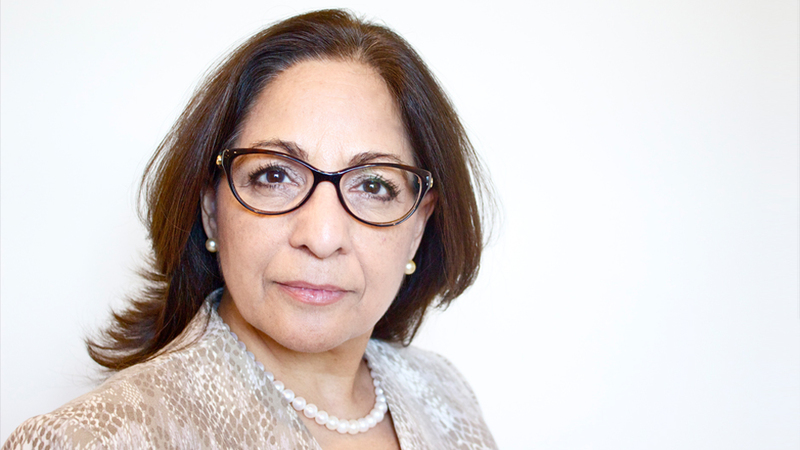 Daisy Khan is Executive Director of the Women’s Islamic Initiative in Spirituality and Equality (WISE), a New York based non-profit organization dedicated to building a unified, compassionate change movement of Muslim women committed to creating a peaceful and equitable environment. 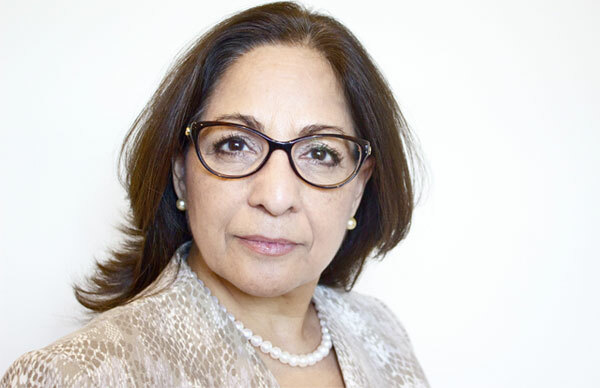 Formerly, Khan served as Executive Director of American Society for Muslim Advancement, where she spent the last eighteen years creating groundbreaking intra- and inter-faith programs based on cultural and religious harmony through interfaith collaboration. Since 2014, the world has witnessed an unprecedented rise in violent extremism causing intense scrutiny and distrust of Muslims. Khan, heartbroken that so many people continue to misunderstand her faith, she has devoted her life to confronting these challenges by promoting interfaith collaboration and amplifying the ethical and egalitarian values of Islam. In addition to her forthcoming memoir (Fall 2017), Khan is spearheading the publication of a WISE Up Report, a collaborative project aimed to empower Muslims with the knowledge and resources to discredit extremist ideology and develop narratives of peace. The 400-page research and evidence-based report is led by American Muslims, such as Reza Aslan, Eboo Patel, and Congressman Keith Ellison, and Americans of all faiths. Khan lectures in the US and internationally on numerous topics; Muslim women, Islam in America, Islamophobia, and violent extremism. Her audiences are varied: prestigious think tanks like CFR, universities, congregations and women’s and youth groups. No matter whom she addresses she always blends wit with passion to unequivocally confirm that gender equality is an intrinsic part of the Islamic faith and Islamic values promote freedom of religion and expression. Khan appears regularly on media outlets like CNN, Al Jazeera, BBC and is frequently quoted in print publications like The New York Times and Time. She has appeared in numerous documentaries including PBS’s Three Faiths, One God, Muhammad: Legacy of a Prophet, and National Geographic’s Inside Mecca. Khan contributed to The Washington Post’s “On Faith” blog. She is a recipient of more than a dozen awards hailing her as a bridge builder and advocate for women and social justice. More Magazine described her as “a Link between Moderate Islam and the West.” Women’s E-News included her in their “21 women of the 21st century.” The Huffington Post listed her as one of their “Top Ten Women Faith leaders.” Time magazine mentioned her in their 100 Most Influential People of 2011. Khan works and resides in the New York tri-state with her husband. Democratization, human rights and enhancing the position of women are at the forefront of the stated U.S. foreign policy goals, but the current strategy ultimately harms and adversely affects these goals. 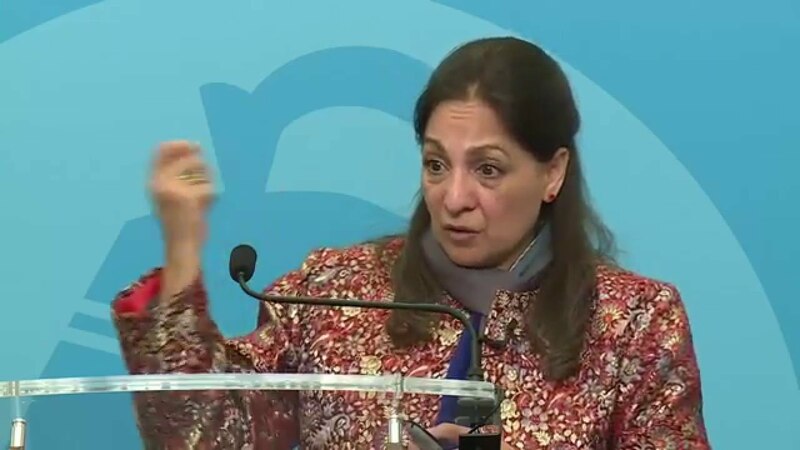 In her lecture, Khan highlights how her approach to gender-based inequality utilizes an Islamic framework which has more credibility with Muslim societies. As her inspirational message reveals, by speaking to people’s most cherished values and beliefs, long-lasting change can be achieved. In her memoir, Daisy Khan traces her own journey as a young girl of sixteen who left her country, like many other Muslim immigrants, in the pursuit of the everlasting “American Dream.” But she discovered that shaping religion in America has been a daunting task for all religions and Muslims need to learn from Christian and Jewish predecessors who underwent the same trials of re-expressing the core values of their faith in the modality of American culture. The biggest question facing humanity today is: what kind of world do we want to live in? In her lecture on interfaith collaboration, Daisy Khan brilliantly showcases the need for forging personal bonds and relationships of trust between communities of faith and those of no professed faith. Dialogue cutting across various communities creates a bond amongst seemingly different people, highlights what is common among them, and deepens their quests for truth and respect. The presence and influence of Islamophobia is ripping through American Muslim communities today with greater effect than in the immediate aftermath of 9/11. What Daisy Khan believes is needed to combat extremist ideology and Islamophobia is a community led effort to discredit extremist narratives. 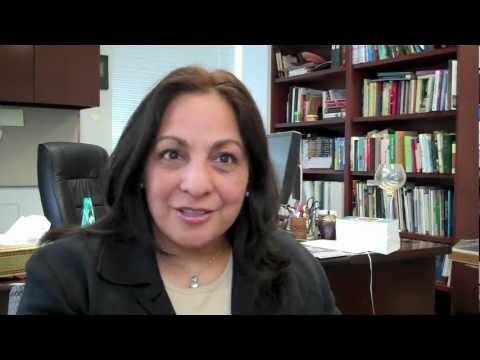 In her lectures Daisy Khan will discuss the “9 common Islamic concepts that extremists distort” and the “8 R’s of extremist mindsets.” A nuanced and comprehensive approach, as Daisy Khan highlights, will impede extremist ideology from spreading and will immunize the community from extremist indoctrination. [Daisy] Khan, founder of the Women’s Islamic Initiative in Spirituality and Equality, passionately tells her singular life story in this fine memoir. Readers will be entranced as they see Khan’s persistent fight for peaceful dialogue in a world sometimes torn apart by religious conflict and misunderstanding. Khan’s fantastic memoir is a testament to courage and resilience as well as an important chapter in the story of American Muslims and women of faith. Daisy Khan’s new book is a must read for anyone who cares about women’s rights. This memoir is a touching tale of growth and discovery that shows a side of Islam that is rarely seen today. She does not shy away from the darker side of a patriarchal faith, and she guides you through her journey finding her own power inside that system. It is a beautiful story of spirituality and humanity. At a time when news headlines cast Muslim societies as war-torn or rigidly traditional, Daisy Khan offers a subtler, and ultimately more optimistic story. Her account of her Kashmiri girlhood, American womanhood, and global activism is warm and sprightly. Through her own story, and the stories of other change-makers, Khan reminds us how Muslim women are asserting their rights, while holding fast to their faith. Daisy Khan is an agent – an angel – of change. She has written a colorful, humane memoir with clear-eyed, scripture-based determination. Her clarion message arrives when the world is rife with anti-Muslim rhetoric. But beyond the scope of any faith tradition, it joins an epoch-defining chorus of women’s narratives. We must listen. Daisy Khan’s consistent application of her faith to all elements of life provides a compelling and inspiring picture of the things we can accomplish when we devote ourselves to the work of justice in God’s name. Her story is one of perseverance, intelligence, and compassion, along with an incredible depth of self-awareness and spiritual devotion. In this book she provides a fascinating account of her experience as a Muslim woman in America and the ways that she has fought for equality and justice for so many. Her life, as told here, is an inspiration. I was immensely moved by Born With Wings’ heart-felt, deeply personal and touching account of a sister Muslim’s spiritual journey and work to empower women and girls around the globe. Born With Wings is a lyrical, poignant, emboldening, and, most of all, deeply important book. Readers of all ages, backgrounds and faiths will find themselves in Daisy Khan's extraordinarily inspiring story—then rush to share it with a treasured friend. Daisy Khan has written a beautiful coming-of-age spiritual memoir for our times. Recounting her girlhood in Kashmir in evocative prose that transports us to a rich and redolent faraway—similar to the Afghanistan of The Kite Runner—she then grows before our eyes into a thoroughly modern American woman. The story of her marriage to an imam and confrontation with destiny after 9/11 is riveting. Yet the great achievement of Born With Wings is the gift of this humane and wise voice speaking at a vexing moment in history. Her courage and clarity are a set of wings for readers everywhere. Born with Wings is the story of a loving partner, a strong feminist, a Muslim leader, and a great American. Daisy Khan, to paraphrase Rumi, has untied her wings and freed her soul, so that all who read her may fly up like doves.